The National Employment Law Project suggests that 65 million Americans — 1 in 4 — have arrest or conviction records that may haunt them when they apply for a job. That said, although it may seem like an uphill battle, be encouraged and know that you are not alone. If you have recently been released from prison, your job hunt may be particularly difficult, but you cannot afford to get discouraged. 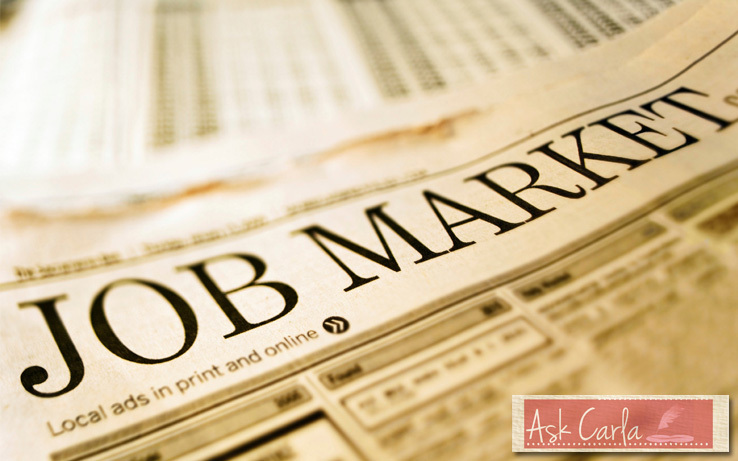 One of the conditions of your parole is likely that you find a job. Even more important, studies show that people who find full-time employment in the year after release from prison are far more likely to stay out of prison than those who remain unemployed. So here are a few tips to help you find that all important job. Before you even begin to apply, I suggest you do two things. First, know which offenses are on your record. Get a copy of your criminal background report. The nature of your conviction matters. Certain convictions will disqualify you for certain jobs. You need to think about your conviction and apply for jobs that have nothing to do with it. If your conviction is theft, don’t spend time applying for cash handling positions. Second, some states now prohibit employers from asking about certain offenses, offenses that are over a certain number of years old, or arrests that did not result in a conviction. Research employment laws in your area to know what questions you can be asked. Be sure to answer only the specific question that is asked. This applies to the application as well as the interview. If the employer asks about felonies and you have a misdemeanor, you should answer “No” without volunteering any additional information. You also don’t need to share any information about a sealed juvenile record or any expunged convictions. You don’t need to tell the employer about any arrests or charges for which you have not yet been convicted unless you are specifically asked. Be truthful but don’t volunteer any information, both on the application and during the interview. While it’s important to be honest on your resumé, revealing information about a criminal background is best handled in a face-to-face interview. If your criminal background includes prison time and you took advantage of training or work opportunities during that time, you may include these experiences on your resumé. Write the name of the facility and your title (e.g., “Arthur Green Correctional Facility, Commissary Clerk”) in your resumé’s Work Experience section. Treat this position as any other position and write about key skills you developed and any positive contributions you made. If you completed further education while in prison, write the name of the sponsoring institution along with the details of your training in your Education section. Prison-related activities from more than 10 years ago can be omitted. It’s tempting to just check “No” when asked about your criminal record on a job application, even if the answer is really “Yes”. However, it’s probably not in your best interests to do so. If the employer conducts a criminal background check and finds out about your conviction, you almost certainly won’t be hired. Even if you get a chance to explain yourself, it will be much harder to claim that you’ve learned from your mistakes and would make a trustworthy employee when you have lied on the application. If the employer doesn’t conduct a background check but then decides to do so at some future date, you’ll probably be fired for lying on your application. Answering this question truthfully might be a bit scary, but it’s also your best chance for stable employment. I know it is so very tempting to just lie, but DON’T DO IT! Seriously, chances are the lie will be discovered. Most employers conduct some type of background check, and if they find that you lied on the application you will almost certainly not be hired and if you’ve already been hired, you can be fired for it. Furthermore, lying on some applications (like for military enlistment) is a criminal offense. Just don’t do it! When you talk to the interviewer about your conviction, you have to answer questions in a manner that shows the potential employer they have nothing to worry about regarding your background. If your experience was a wake-up call, a frank and concise description of how it changed you for the better might even help you make a good impression. If you give the impression that you are trying to blame others for your own mistakes, attempting to make excuses or that you have a bad attitude, their fears will be confirmed and you won’t get the job. Try to delay disclosing your offense until as far down the interviewing process as possible. For example, if you have a serious offense on your record, write “ask” or “will discuss in interview” on the job application. The more people have an opportunity to get to know you, the greater your chances that they will like you and will consider hiring you rather than blocking you based on preconceived notions. Contact a nonprofit or an agency that specializes in helping individuals with criminal records find employment. There are several organizations that are focused on helping people with criminal records find jobs. Get in touch with an organization or agency in your area. The National Transitional Jobs Network provides job skills training, job placement services, and support to individuals who may have barriers to finding traditional employment. America Works also assists individuals who may have difficulty finding work as does Goodwill Industries and Dress for Success assists with interview and work attire for women. Carla Lane is President and Chief Executive Officer of LaneStaffing, Inc. a multimillion dollar employment solution provider headquartered in Houston, TEXAS. She is also founder of This Woman’s Work, Inc. a non-profit organization that empowers women and girls by giving them access to career opportunities, programs and long-lasting relationships. Send your questions to carla@askcarla.net.